We just got through September and already, your housing situation for next year is on your mind. You are not alone! 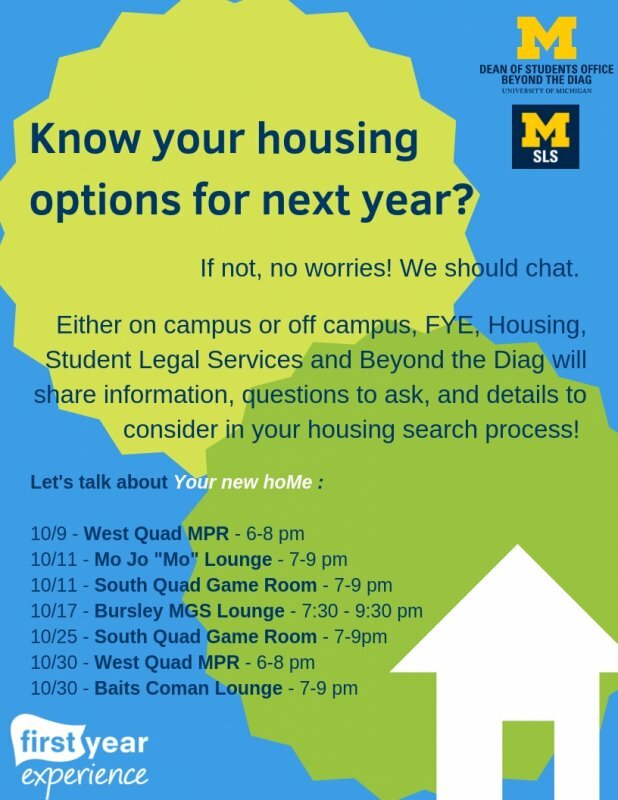 Come chat with peers who are knowledgeable about all of your housing options, and ask questions about the leasing or on-campus housing process!